with the silence of deep woods and the 100-year spell. Sara Norja dreams in two languages and has a predilection for tea. Born in England and currently settled in Helsinki, Finland, she is pursuing a PhD in English linguistics. Her poetry has appeared in publications such as Goblin Fruit, Curio, Strange Horizons, Through the Gate, Plunge Magazine, Niteblade, and Interfictions. She blogs at Such Wanderings. 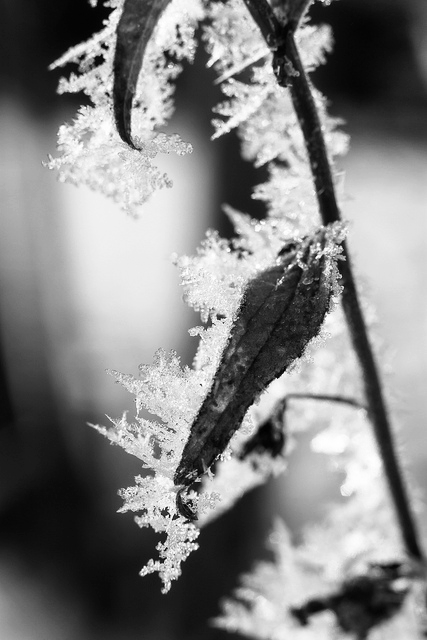 Photography: adapted from Hoarfrost, by Nomadic Lass.